The bold headline of the obituary read, “R.V. Hardeman Called By Death.” Near the end of the first paragraph, the article noted that Hardeman died at 8:30 a.m. on August 12, 1916 at the home of his daughter, Mrs. M.H. 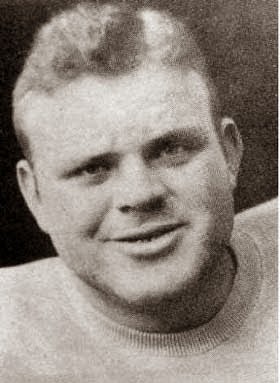 Blackshear in Dublin, Georgia. When I first read that article some 20 years ago in my former home, the red flag shot up the flag pole. My insatiable curiosity for historical facts peaked. 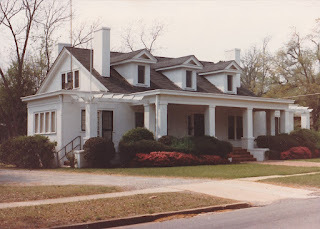 For you see, the house in which Robert Vines Hardeman died in was my very own house. The bed room in which the long life of this Confederate veteran and Macon attorney ended was my very own bedroom. People who have never lived in an old house occupied by a host of known and unknown occupants often do not think about what has transpired within the walls of their homes, nor do they dream what events may occur in the future. Well, I do. I set out on a mission to learn about the story of the man born more than 170 years ago whose life ended in old home a century ago. Robert Vines Hardeman, Jr. was born on February 19, 1843 into the well to do Jones County, Georgia family of Robert Vines Hardeman, Sr. and Elizabeth C. Henderson. He attended the best schools available in Clinton. After six months of post secondary education at Mercer University in Penfield, Georgia, Robert left college to return home to Clinton. Hardeman’s life and the lives of his family and his entire world were radically transformed a few months after he attained the age of majority. The firing on Union forces stationed at Fort Sumter, South Carolina cast the nation into a mighty and horrific four-year war - the slaughter known as “The Civil War” or the “The War Between the States.” His father had served as a colonel in the Indian Wars of the 1830s. Seven weeks before his 19th birthday, Robert Hardeman enlisted in Co. B of the 2nd Battalion of the Georgia Infantry. On the Ides of March in 1862, he transferred to Co. F, “The Gray Volunteers,” of the 45th Georgia Infantry under the command of his older brother, Colonel Thomas Hardeman, Jr. Robert’s brothers Isaac, Frank, and John joined the Confederate Army in the late winter of 1861-1862 as members of the local company of volunteers. Colonel Hardeman resigned his commission in October 1862. He returned home to serve in the Georgia House of Representatives in 1863 and 186. The Colonel served as the Speaker of the House in 1874. Hardeman, a delegate to the 1872 Democratic National Convention and president of the State convention, and chairman of the Democratic State executive committee for four years, served in the U.S. House of Representatives as fm March 4, 1883, to March 3, 1885. Frank, a courier for General Jubal Early, C.S.A, died of congestive fever at Staunton, Virginia in the last autumn of the war. Isaac, a future attorney and director of the Macon, Dublin & Savannah Railroad, worked his way up from an Orderly Sergeant to Lt. Colonel of the 12th Georgia Infantry Regiment. Col. Isaac Hardeman was captured at the pivotal and deadly battle at Spotsylvania Courthouse, Virginia. John Hardeman was elected as the Jr. 2nd Lieutenant of the Gray Volunteers, Company F of the 45th Georgia Infantry. Following the Battle of the Second Manassas, John was elevated to the rank of Captain on August 28, 1862. 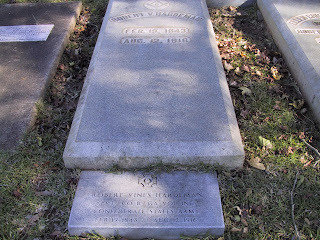 Captain Hardeman survived all of the major battles of the Army of Northern Virginia until he was wounded on April 2, 1865 as the Confederate Army was forced to evacuate Petersburg. Although he lost his thumb to the wound, Captain Hardeman left Stuart Hospital in Richmond to return to his company, only to surrender one week later. The 45th Georgia was a part of Edward L. Thomas’ Brigade and Gen. Cadmus Wilcox’s Division of Gen. Ambrose P. Hill’s 3rd Corps. Fighting along the side of two Laurens County companies, Co. H, 14th Georgia (Blackshear Guards) and Co. F, 49th Georgia (Laurens Volunteers) Hardeman’s company saw major action in the Battle of the Second Manassas and Fredericksburg in the last third of 1862. Robert Hardeman’s first major battle of 1863 took place at Chancellorsville, Virginia, known as “Lee’s Greatest Victory,” despite the loss of Lee’s invaluable right arm, Gen. Stonewall Jackson. Two months later, Hardeman was among the tens of thousands of Lee’s army which moved northward into Pennsylvania. Robert Hardeman’s regiment was not heavily engaged during the Battle of Gettysburg. Only on the third and climactic day did the 45th Georgia, positioned at the edge of the trees, watch General George Pickett’s initially glorious, but quickly disastrous, charge into the center of the well-entrenched Union army on Cemetery Ridge. Before the equally disastrous battles of the Wilderness and Spotsylvania Courthouse, Robert left his company to serve as a provost guard. The provost guards were considered the army’s military police, which often provided guards for prisoners and security for Confederate nonmilitary officials. After the war, Robert Hardeman returned home on September 27, 1865 to marry Ella Griswold (LEFT) Smith, a member of the prominent Griswold family of Jones County and a daughter of Gen. D.N. Smith and his wife, Mary Griswold. The Hardemans had eight children: sons; Frank S., Gordon, Clark G., Wallis B., Robert N. and daughters; Mary Maud, Ruth and Annie Lucia Hardeman (Mrs. M.H. Blackshear,) of Dublin. Hardeman took up farming and worked for a while with the Central of Georgia Railroad. Robert Hardeman decided to follow in his father’s footsteps and entered the practice of law. He began his practice in Gray in Jones County in 1873. He served for 14 years as the Solicitor of the County Court of Jones County. In 1891, he removed to Macon, where he became a well respected and honored member of the bar as a member of the firm of R.V. Hardeman & Sons. Five years later, he joined in partnership with L.D. Moore. Hardeman retired from the practice of law in 1910 at the age of 70 when his health began to fail him. Hardeman, who lived on Forsyth Street in Macon, served as superintendent of the Vineville Methodist Sunday school for many years. He was one of the founders, a long time steward and one of the largest contributors to the church. As he entered his fifties, Hardeman took every opportunity to join in the activities of the local camp of the United Confederate Veterans. Robert Hardeman, at the age of 74, suffered a stroke in May 1916. His father too had suffered from a series of strokes which cut his life short at the age of 71. Paralyzed and unable to function, Robert moved to Dublin, where he lived in the relatively new home of his daughter, Annie Blackshear, at 202 South Calhoun Street. Following his death, Hardeman’s body was returned home to Macon, where it was buried in an afternoon funeral service in Riverside Cemetery. His wife Ella would survive him for about 21 years. I will never learn any more about this man, the Gray Ghost, but I can only hope that one day I will find out one more fact, not how he died in my house, but how he lived his life. For a moment, think about the lives of those who have lived or who will live in your house. Dr. Patrick Hues Mell’s career in the educational and religious annals of 19th Century Georgia remains unprecedented. From his humble beginnings as a teacher in a one room Montgomery County school house, Mell rose to become Chancellor of the University of Georgia. From his first sermon as a licensed minister in a small Baptist Church, Rev. Mell was elevated to the Presidency of the Southern Baptist Convention for nearly a quarter century. This is the story of one of Georgia’s most foremost citizens who began his remarkable career right here in East Central Georgia. Patrick Hues Mell was born in Walthourville, Liberty County, Georgia on July 19, 1814. By the age of fourteen, Patrick became an orphan after the death of his father followed shortly by the death of his mother. With only the clothes on his back and a satchel of purely personal belongings, Mell began his teaching career in a one- room log schoolhouse, complete with a dirt floor. He spent two years at Amherst College in Massachusetts before leaving early to teach school in West Springfield, Massachusetts. He later served as Assistant Principal of East Hartford High School in Connecticut. In October 1838, Mell accepted a position as teacher at Ryals in lower Montgomery County, which was located below present day Uvalda. Just four months later, Mell received an offer to become the principal of a Female Seminary at Emory College at Oxford. His employment came at the urgent request of Gov. George M. Troup of Laurens County. Troup, who met the young teacher at Dr.
Perry’s house in Montgomery County, became a ardent advocate of the young man. When plans to establish the seminary failed to materialize, Mell was offered an alternate position as Principal of the Classical and English School at Oxford, one which he accepted. It was during his term at Emory that Mell was called to preach the Gospel. He obtained a license to preach in 1840. With his career goals firmly established, Mell returned to Montgomery County to marry Lurene Howard Cooper, whom he taught as a student at Ryals. Mrs. Mell was a guiding force in Mell’s advancement in the educational and religious fields before her untimely death just more than twenty years into their marriage. 1845 until 1855. In 1855, when Rev. Mell resigned his position as professor at Mercer when he was not offered the presidency of that institution. Mell turned down innumerable offers for positions at colleges and universities throughout the South, including the presidency of Wake Forest. In 1856, Rev. Mell was offered a more prestigious position as Chair of the Department of Ancient Languages at the University of Georgia. After a one year respite from the leadership of the Georgia Baptist Association, Rev. Mell was elected as President of the Association, a position which he held longer than anyone else in the organization’s history until his death more than three decades later. In 1860, Rev. Mell was selected to become Vice-Chancellor of the University. As a Ph. D, Dr. Mell remained as Vice Chancellor until 1872. Rev. Mell, always a adherent of the rights of the Southern states, accepted the position of Captain of “The Mell Rifleman,” a company organized in Athens, Georgia in the first few months of the Civil War. Mell’s eldest son Benjamin joined the company. When Lurene Mell died just a week before the fighting started in July 1861, Captain Mell resigned his commission to remain with his other seven children. Sgt. Benjamin Mell went off to war an on September 17, 1862 at Sharpsburg, Md. He was severely wounded and taken prisoner on the single bloodiest day of the Civil War. On Christmas Eve of 1861, Dr. Mell married Eliza Cooper, who bore him six of his fourteen children. 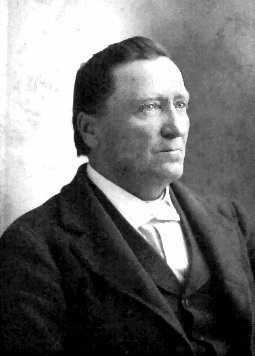 In the fateful year of 1863, Dr. Mell was elected as President of the Southern Baptist Convention. When it became readily apparent in the summer of 1863 that the Union Army would be invading Georgia, Dr. Mell accepted a position as Colonel of the local militia units in Athens. Joining the Chancellor of the University, the faculty and nearly all of the students, Col. Mell accompanied his troops to Rome, Georgia in effort to stop the upcoming invasion of his beloved Georgia. He remained with the company until “The March to the Sea” ended at Christmastime in 1864. After the war, Mell returned home to Athens, broke and unsure of his future with a house full of children. During the war, classes at the college were suspended. The Southern Baptist Convention did not meet in 1864 and 1865. In 1866, Mell returned to his position as President and served until 1886, making him the longest or one of the longest serving presidents of the 160-year-old organization, which is the largest of its kind. During the same period, Mell also served as President of the Georgia Baptist Church, except for a four-year period when he was too sick to attend the annual conference. Rev. Mell was known to have preached for 90 minutes to a congregation who swore that he never spoke too long. His son Patrick Mell, Jr. described his father’s sermons as distinct and plain. They are the children of the rich and famous. They are the parents and grandparents of celebrities. Beginning with this column and in future columns, I will tell the stories of some of our county's most famous family connections. In the past I have written of Sugar Ray Robinson and Ty Cobb, Jr., but there are many, many more. Tall men seemed to run in one branch of the O'Neal family of Laurens County's Burgamy District. Hilton O'Neal, a farmer, was between six feet eight inches and six feet nine inches tall. His son Sirlester stood a imposing six feet five inches above the ground. The O'Neals were a farming family from way back. Hilton's father George was a son of former slaves Freeman O'Neal and Charity Blackshear. The progenitor of the O'Neal family in the county was Jack O'Neal, who was born about the year 1835 and may have been a slave of the family of William O'Neal, who maintained a plantation in northwestern Laurens County. 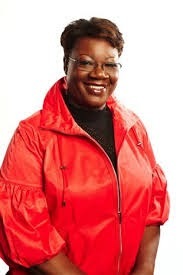 Lucille O'Neal was born to Sirlester and Odessa Perry O'Neal in the early 1950s. It was time when the O'Neals and many other black families felt uncomfortable in the postwar South. The family moved North in hopes of finding a better life. On March 6, 1972, Lucille gave birth to a son. The little boy didn't remain little very long. He began to grow and grow and grow. Carrying the genetic markers of his mother's paternal ancestors, the young man began to grow to a height of seven feet and one inch tall. 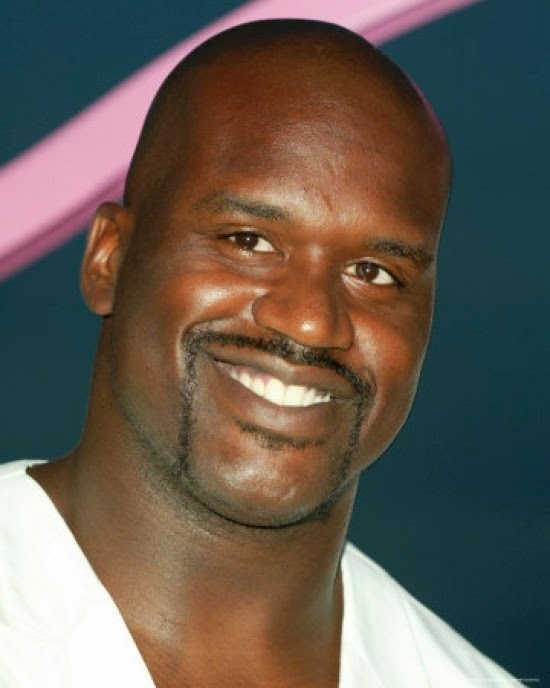 Today you know that young man as Shaquille O'Neal, one of the most celebrated, dominating and talented basketball players in the history of the National Basketball Association. Just think, had his grandparents not moved away, it is possible that this giant of a man would have played on the high school courts of Laurens County and with the right compliment of teammates might have dominated the ranks of Georgia high school basketball for four seasons. Gertrude Johnson was born in 1843 in Jefferson County, Georgia. Her father was a lawyer practicing primarily in Louisville. When she was one, her father was chosen as a presidential elector. The Johnsons moved to Baldwin County. He served for a short time as a U.S. Senator before returning to Georgia to serve as a Judge of the Superior Court. As the nation rapidly sped toward Civil War, Gertrude's father found himself in the spotlight of political cataclysm which evolved in Georgia and throughout the nation. Elected governor of Georgia in 1853, she moved to Milledgeville to live in the governor's mansion. In the highly contested presidential election of 1860, her father was nominated by the democratic party as it's candidate for vice-president on the ticket with Stephen Douglas. Democrats and Whigs split their votes among three candidates, all of whom lost to the eventual winner, Abraham Lincoln. Ironically had Southern democrats not split their vote in refusing not to vote for the northern Douglas, Gertrude's father would have been elected. Even more ironic was the fact that Stephen Douglas died of natural causes the following year and Gertrude's father, a native Georgian, would have become president of the United States changing the course of history of the nation and the world forever. Her father served in the Confederate government and ended his public career on the bench of the Superior Court of the Middle District. In 1857, the State of Georgia honored her father for his service to the state by naming one of it's newest counties, Johnson County, in honor of Herschel Vespian Johnson, the only judge in the history of the state to preside in a county court named for him. Gertrude, who had never married, met a dashing young widower from Dublin. He was a former Confederate officer and an enterprising farmer, horticulturist, editor, railroad and river boat entrepreneur and lawyer. They married in 1878. His name was John M. Stubbs, one of the city's most prominent leaders who brought Dublin from the depths of the post Civil War period. Gertrude and John Stubbs lived in their home "Liberty Hall," which was located across from the Piggly Wiggly grocery store on the site of the Claxton Hospital. Gertrude Johnson Stubbs died on February 3, 1897 at her home in Dublin. Her body was buried in the Stubbs family plot in Macon. Stubbs, who had first married Ella Tucker, daughter of Dr. Nathan Tucker, a wealthy Laurens County planter and physician, once again re-married. His new bride was Victorie Lowe. Victorie was born in Maryland. Her father Enoch Louis Lowe served as the Governor of Maryland from 1851 to 1854. A staunch Democrat, Lowe served as a member of the Democratic National Convention in 1856 and was a presidential elector in the decisive 1860 Presidential election. In the winter of 1861, Lowe was ready to take a seat in the United States Senate, but the beginning of the Civil War forced this ardent secessionist into exile in Virginia during the war. Jesse Snellgrove and Elizabeth Howard, both natives of South Carolina, came with their families to Laurens County, Georgia during its infancy. They married here on July 29, 1815 and had a large family of children. Some time in the early 1830s, the Snellgroves moved to Early County, Georgia where their daughter Nancy Ann Snellgrove was born in 1837. Nancy married George W. Cassidy. Their son James M. was the father of James E. Cassidy. James E.'s daughter Virginia was married several times. Her first husband, William Jefferson Blythe, Jr., died just three months before their son, William Jefferson Blythe, III, was born. Virginia remarried Roger Clinton. Clinton adopted his step son and gave him his last name. 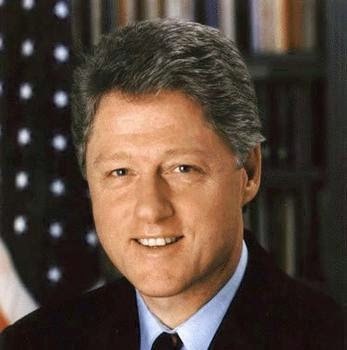 You know Jesse and Elizabeth Snellgrove's great great grandson as Bill Clinton, 43rd President of the United States. John William Murray's parents, Drury Murray and Susan Champion Murray, moved to Laurens County in the latter half of the 1820s. John William was born in Laurens County in 1833. The Murrays lived along the present route of the Old Macon road at its intersection with Georgia Highway 338. About the year 1834, the family followed a wave of migration to southwestern Georgia settling in the Bottsford District of Sumter County, Georgia. John William married Alethea Josephine Parker, nine years his junior and a native of Lee County. The Murrays were moderately wealthy land and slave owners in Sumter County. Their son, John William Murray, Jr., married Rosa Nettie Wise. Their daughter, Miss Frances Allethea Murray, married Wilburn Edgar Smith of Marion County. On August 18, 1927, Frances Murray Smith gave birth to a daughter, which she named Eleanor. Eleanor, or more completely Eleanor Rosalynn Smith, became a bride on July 7, 1946 when she married James Earl Carter of Plains, Georgia. 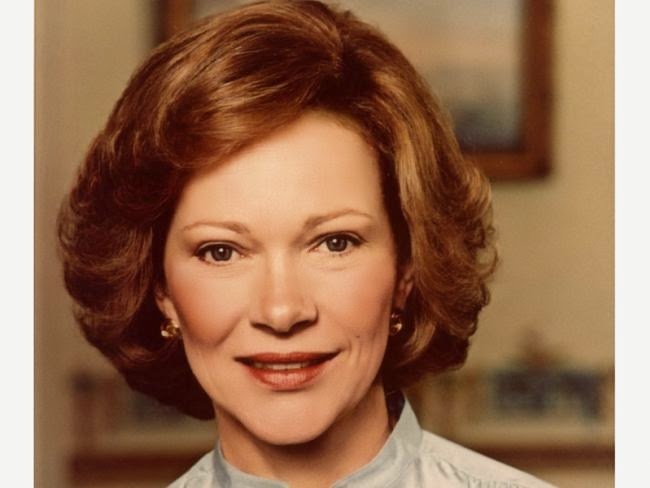 You know John William Murray's great grand daughter and her husband as Rosalynn and Jimmy Carter, the 40th President of the United States. Bobby Davis, it has often been said, was the biggest baby ever born in Bowie County in the great state of Texas. Weighing fourteen pounds at birth, Bobby tipped the century mark on the scales before he started school. When he became a teenager, the scales began to strain as the needle hit the two hundred pound mark. As a grown man, Bobby grew to at least three hundred pounds. What, you may ask yourself, does this large behemoth of a man have to do with the history of Laurens County? Well, first we will need to turn back the clock some two hundred years or so. Don't read ahead, please don't. You might spoil your surprise. Young Keen, son of John, came to Laurens County with his widowed mother when Laurens County was still in her infancy. Keen fathered sixteen children by three wives. Kindred Lawrence Keen, a son through his Young’s wife Margaret Jones, joined the Troup Volunteers, Company B of the 57th Georgia Infantry. Keen, who played the fife in the regimental band, surrendered with nearly all the Confederate forces entrenched in and around Vicksburg, Mississippi in 1863. Unlike many of his comrades, Keen escaped injury - a result which will play prominently in this story. After the war, Keen and his wife, Mary Alice Chipley, decided to pull up their stakes and go to Texas to find a new, and hopefully better, life. Before they left, the Keens were blessed with their first daughter, Mary Alice Robena Keen. Lawrence, a mechanic by trade, landed in Navarro County and later removed himself and his family over to Erath County. Lawrence, as he was known to his family and friends, got the calling to become a Baptist minister in Palo Pinto County. He had been a deacon in Bethlehem Baptist Church in Condor in eastern Laurens County before moving to the Lone Star State. Being a minister, Rev. Keen and his family moved around quite a bit. Keen possessed a great talent for singing and taught school kids how to sing, for a small fee of course. He died in 1906. His body lies in an old grave in the Garland Cemetery, south of Annona. 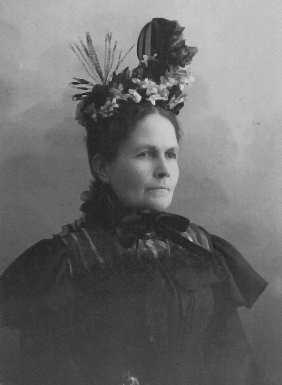 Mary Keen married a Davis and they had a daughter who they lovingly named Mary Arizona Davis. Mary Davis married Ora. I can't give you Ora's last name right now because the identity of the mysterious cousin would become instantly obvious. Mary and Ora's second child and first son was born in Bowie County, Texas fifteen days before Christmas in 1928. Bobby, always big for his age or any age for that matter, claims he got his size from his mama's side of the family. When he was six, his family moved to O'Donnell, Texas where Ora worked on farms and eventually bought and operated his own grocery store, a handy thing to own with a son like Bobby who devoured everything on his plate. By the age of thirteen, Bobby could carry a hundred pound sack of feed, fertilizer or flour under each arm to load on his daddy's customer's trucks. When he really wanted to show off, said old friend Bob Clark, "Bobby lifted his car by its rear axles." Bobby never tried to be a Hercules. He tried his hand at boxing, but gave up after one round with a professional fighter over in Odessa. Bobby attend Texas Military Institute. In 1946, he was named the vice president of the class and lauded as the most popular and best natured member of his class, probably because he was fond of practical jokes, good natured ones, not the cruel kind. In college, Bobby planned to major in the social sciences and physical education. In his senior year at Sul Ross, Bobby was bitten by the acting bug and graduated with a degree in drama. Shortly after graduation, Bobby was promoted to a sergeant in the 45th Oklahoma Division during the Korean War. As soon as he was discharged, and as fast he could get back home to Texas, Bobby married the love of his life, Dolphia Lee Parker, his college sweetheart. Inside his humongous human physique was the astute mind of a scholar. With a framed master's degree hanging on his wall, Bobby Davis taught grade school in Senora, Texas and in Carlsbad before he and his family moved to Glendale, California, where he planned to work on his Ph.D. degree at the University of California at Los Angeles. While studying at UCLA, Bobby was a substitute teacher to help pay the bills. He always wanted a career in education, but he loved to act too. 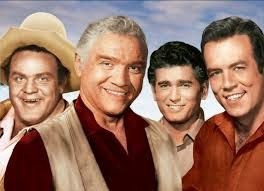 One day in 1956, Bobby was invited to appear on Gunsmoke, the granddaddy of all western television shows. And as they say, the rest was history. In 1959, the producers of a new show tabbed Bobby to play the role of "Eric" in a new western. Don't get ahead of me yet. Eric was one of a group of half brothers who lived with their father on a Nevada ranch. If you ever watched a western on television, I think you know who I am talking about. But if you never heard of Eric, you missed the one show in which his real name was revealed. Named for his maternal Swedish grandfather, Eric was known by one of the most enduring terms of endearment ever penned on any television character. You see, this mountain of man, who always wanted to be a school teacher and grew tired of acting, was fondly known on the show and to the hundreds of millions of viewers as "Hoss" Cartwright. 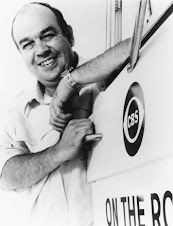 Bobby's given name was Bobby Dan Davis Blocker, who played the affable character for thirteen seasons on NBC. Though his career as "Hoss Cartwright" was nearly over in the early 1970s, Blocker had become an astute businessman as the owner of Bonanza steakhouses across the country. Because of his superior people skills and intellect, which he displayed weekly on television, and his passion for politics, Dan was often asked to run for governor, senator or congress. 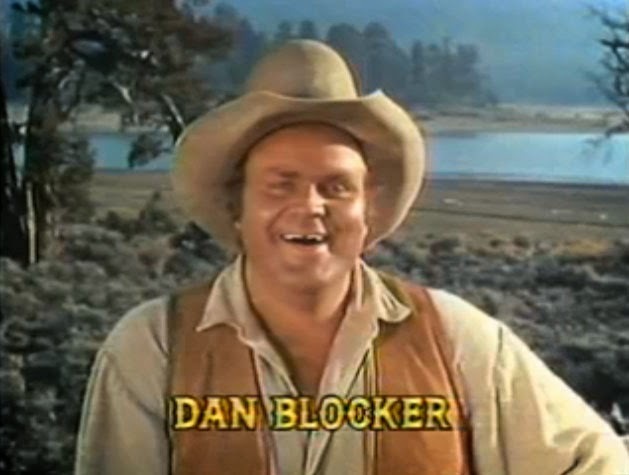 In one of the most tragic cases of celebrities who died all too young, Dan Blocker died after a clot formed in his body following gall bladder surgery on May 13, 1972. He was only forty-three years old. Which brings up two philosophical questions. 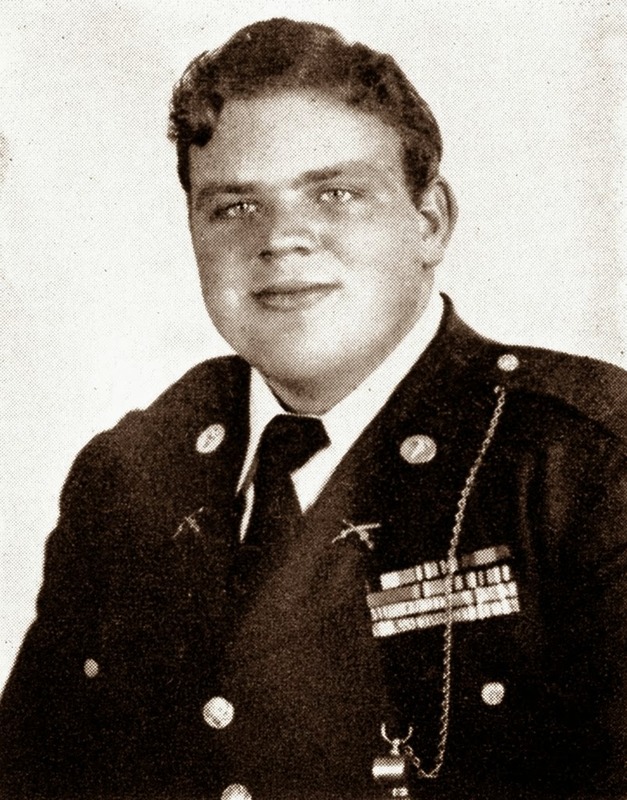 What would have happened if Dan Blocker's great grandfather had been killed or wounded at the Battle of Baker's Creek along with dozens of his fellow Laurens Countains? What would have happened if his grandmother never moved to Texas with her family? The answer is quite simple. We would have never loved and admired this man whose ancestral roots run deep into Laurens County and who as "Hoss," carried the heart of a lamb and the brilliant mind of professor inside the frame of grizzly bear.